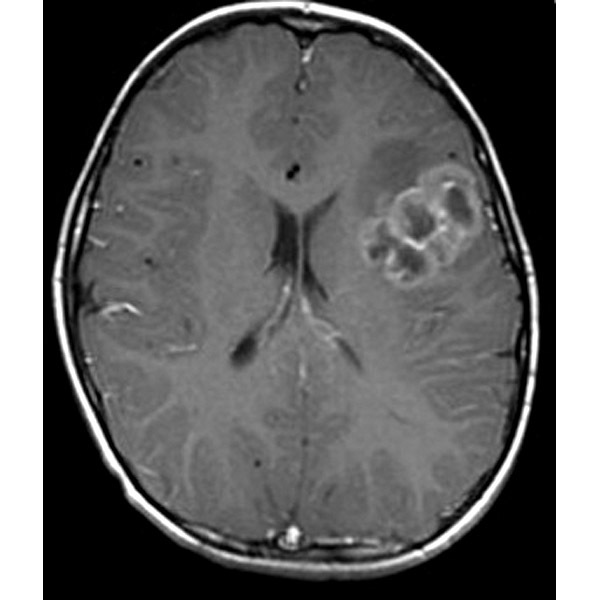 HGGs in children, commonly considered AAs and GBMs, constitute a small segment of all primary brain tumors, and less than half of all hemispheric gliomas, unlike the adult population in whom they are common. AAs may present in an indolent fashion in the young child or adolescent, while GBMs can present in children of all ages, typically with shorter clinical histories due to the rapid tumor growth. Given their infiltrative nature, even radiographic gross total resection does not imply cure, and the aggressive nature of these lesions typically demands adjuvant therapy. Less common than in adult population: The majority of supratentorial gliomas in children are low grade. Surgical resection important: Although typically not curative, the extent of tumor resection impacts outcome for HGGs. Young age adversely affects prognosis: Children younger than 3 years fare worse than older children, particularly for AAs. Poor outcome: Despite surgical advances, aggressive chemotherapy, and improved radiation, long-term outcome for pediatric HGGs is poor.